The attributed quote for this article is incorrect. Please see our update at the foot of the post. With the dust still settling following the announcement that Samsung had become the latest and biggest company to license Microsoft’s patent portfolio, the reasons behind the agreement started to emerge with the Korean smartphone vendor looking to better position itself in its fight against Apple, having lost confidence in Google’s ability to help defend it. Microsoft and Samsung agreed to settle their dispute over software patents in the Android operating system, effectively wiping the slate clean and providing a foundation from which both companies can seek to fight Apple both legally and in the markets in which it provides devices. A source told the Korea Times that “Samsung is securing multiple mobile OSs to put it in a better position in its fight against Apple,” with the smartphone maker also hedging its bets with other mobile operating systems after it was announced that it would partner with Intel and the Linux Foundation to collaborate on a new open-source Linux-based smartphone platform called Tizen. “If Samsung truly believed that Google’s takeover of Motorola Mobility was going to be helpful to the entire Android eco-system at large, it would have waited until that deal was closed before concluding the license agreement with Microsoft. Google has come under fire for its responsiveness to patent issues affecting manufacturers that use its Android operating system, particularly after Apple sought to ban sales of both Samsung and HTC devices for infringing on its patents. However, the search giant did provide HTC with patents to use against Apple in a recent lawsuit, signalling a change in the company’s stance against its Cupertino-based rival. It is believed that Samsung will pay Microsoft upwards of $180 million in royalties this year, but as a result of its deal the company will also receive marketing and development assistance with its Windows Phone handsets, assisting it in its mission to become the world’s top smartphone manufacturer by volume. It would seem that there has been a miscommunication which has lead to a discrepancy of sources. 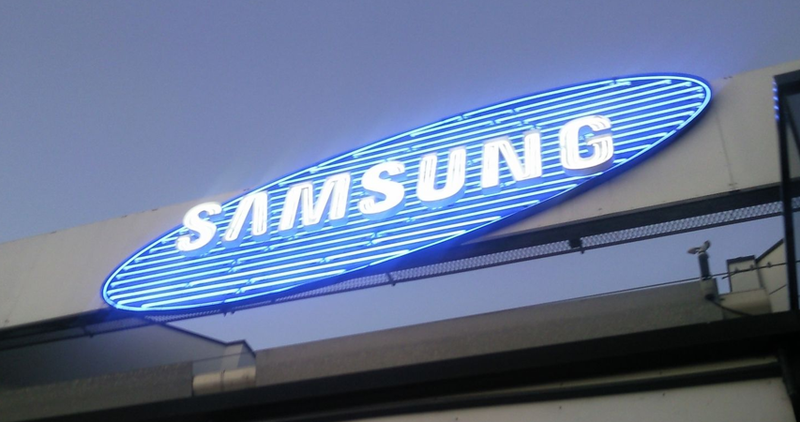 The quote of “Samsung knows it can’t rely on Google” was initially penned by Florian Mueller of FOSS Patents, in an opinion piece written on the blog. Mueller has often times taken a critical stance toward Google, and this is another example of that. It’s well worth noting that Samsung is partnering with Google for an October 11th event, to be held during CTIA Enterprise and Apps. It would seem then to only make sense that Samsung’s ties with Google have not been damaged in any way, especially when you consider the number of Android handsets that are being manufactured by the company.